As beauty pageant contestants prep for this weekend's Miss Minnesota USA competition, they'll be getting their gowns ready, their interview skills polished and their stage walks perfected. Halima Aden will be doing the same. Except she'll also be ironing her black hijab, packing her burkini and modifying sleeveless and backless evening wear. Aden, 19, of St. Cloud, is the first fully-covered Muslim contestant to participate in the Miss Minnesota USA competition, to be held in Burnsville Saturday and Sunday. The Somali-American teen has been wearing the hijab almost her entire life. She's used to ridicule and bullying, but she said that mostly comes from people not understanding what her religious and cultural beliefs are all about. She hopes the beauty pageant will be a good avenue to bust some of those misconceptions. "This pageant is so much more than just beauty. Their whole message is being confidently beautiful, so I didn't think that I should allow my hijab to get into the way of me participating," Aden said. "This is a great platform to show the world who I am ... just because I've never seen a woman wearing a burkini (in a pageant) it doesn't mean that I don't have to be the first." Aden graduated from Apollo High School in St. Cloud, where tension has been rising about the Somali community for years. Hateful messages against Muslims and other ethnic groups have appeared there and in some other places in Minnesota since Donald Trump was elected president earlier this month. Allegations that the president-elect insulted pageant contestants also surfaced during the election. Trump sold the Miss Universe pageant to the talent agency WME/IMG, which includes Miss USA. The deal came after two television partners refused to broadcast the pageant after Trump denounced Mexican immigrants during the campaign. But Aden, who was born in a refugee camp in Kenya and came to Minnesota as a young child, said she wasn't thinking about Trump when she entered the pageant. She said the pageant comes at a time her community needs positive representation regardless of the election rhetoric. "What I wanted to do was to just give people a different perspective," she said. "We just needed one more thing to unify us. 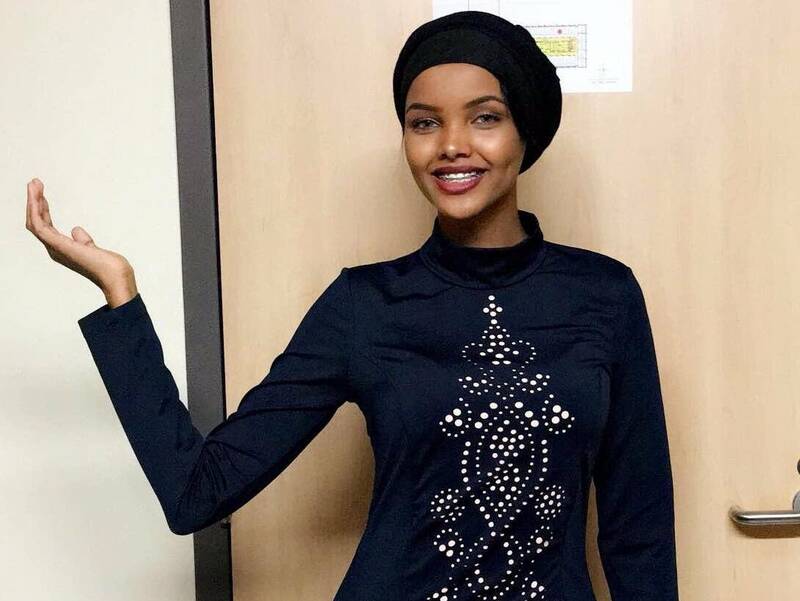 This is a small act, but I feel like having the title of Miss Minnesota USA when you are a Somali-American, when you are a Muslim woman, I think that would open up people's eyes." If she wins Miss Minnesota, Aden would move on to the Miss USA competition and then Miss Universe. A statement from Denise Wallace, Executive Co-Director of the Miss Minnesota USA pageant, said the company values inclusion and celebrates diversity and that Aden's burkini would be acceptable for the competition. The decision "is in line with the values of the Miss Universe Organization in empowering women to be confidently beautiful."